In summer 2016, Condor will be flying between Frankfurt International Airport (FRA) and Austin-Bergstrom International Airport (AUS). The seasonal flights are scheduled to operate on Mondays and Thursdays from June 27, 2016 through September 1, 2016, operated by a Boeing 767-300ER in a 3-class-layout. Austin is the third addition to Condor’s network in the United States within one year after launching nonstop service between Providence (PVD) and Portland (PDX) to Frankfurt, Germany this summer. “The addition of the already 10th destination in the United States next year shows clearly how important the U.S. market is for Condor. The demand for passengers to travel to Germany or beyond from North America is as high as never before. 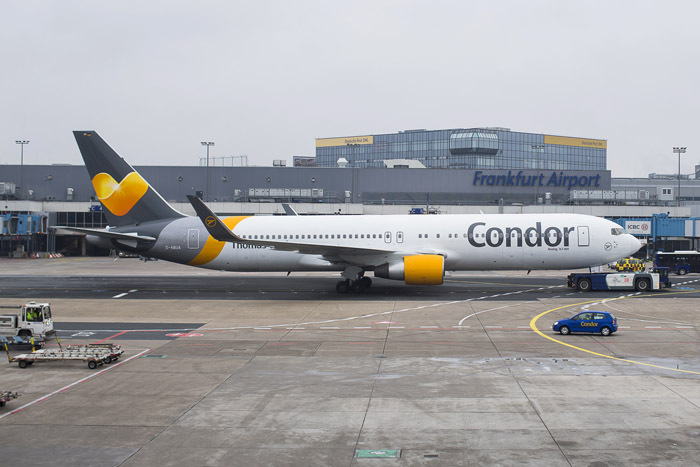 And we want to cater to those who want to avoid crowded and congested hubs and rather travel nonstop to Frankfurt from their home airport such as Austin, Texas,” said Ralf Teckentrup, Managing Director at Condor Airlines.